For millions, The Times of India isn’t just a newspaper; it is an addiction. As a recorder of evolving India, the newspaper has looked at life, society and nation from 360 degrees. 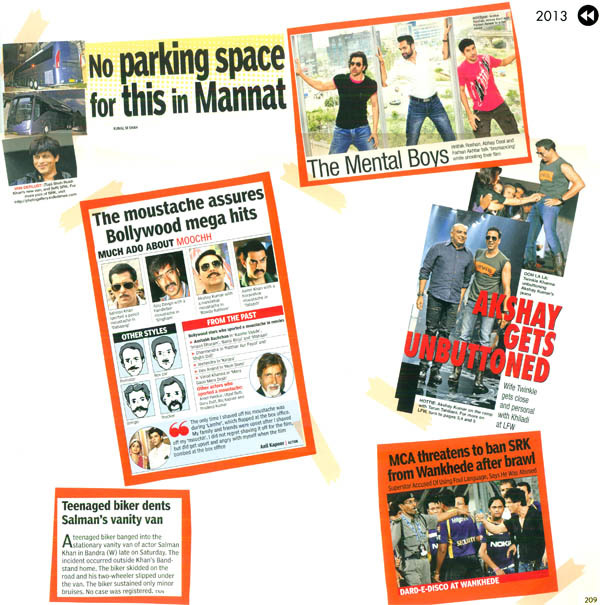 Entertainment has always been an essential part of The Times of India menu. This book, which is part of TOI’s 175th anniversary festivities this year, delves deep into the newspaper’s formidable archives and emerges with the finest reviews, major controversies, top trends and unforgettable photographs from the world of entertainment published over the years. The first movie theatres of the 1890s. Dadasaheb Phalke’s Raja Harishchandra. Silent and early talkie stars. Alam Ara. New Theatre’s Devdas. Fearless Nadia. Censorship. Devika Rani and Ashok Kumar, K L Saigal. Sabu, the first Indian in Hollywood. Filmistan. IPTA. 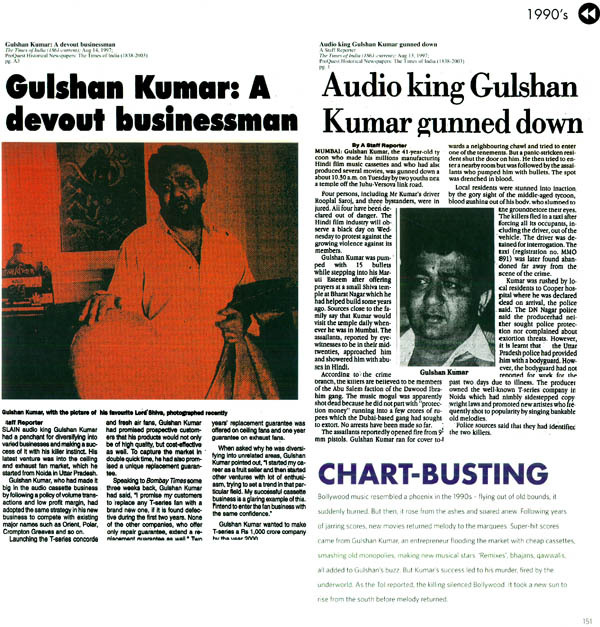 Uday Shankar’s Kalpana. Filmfare Awards. Pather Panchali. Dilip Kumar. Raj Kapoor. Dev Anand. Lata Mangeshkar. Mother India. Naya Daur. Shammi Kapoor’s Junglee. Muslim socials. Dada Phalke awards. Parallel cinema. Rajesh Khanna. Amitabh Bachchan and the Angry Young Man. Garm Hava. Shyam Benegal. Kissa Kursi Ka. Prithvi Theatre. Censorship. Middle-of-the-road cinema. Bikini. Coolie. 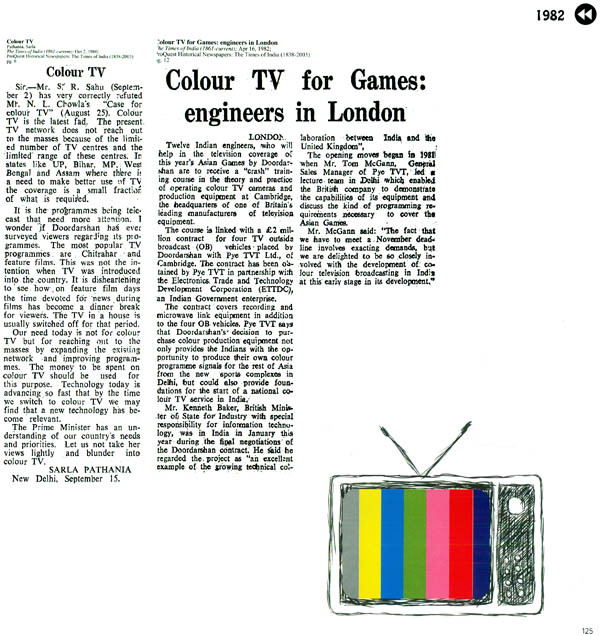 Colour TV. Hum Log. QSQT. Satellite TV. Hum Apke Hain Kaun. 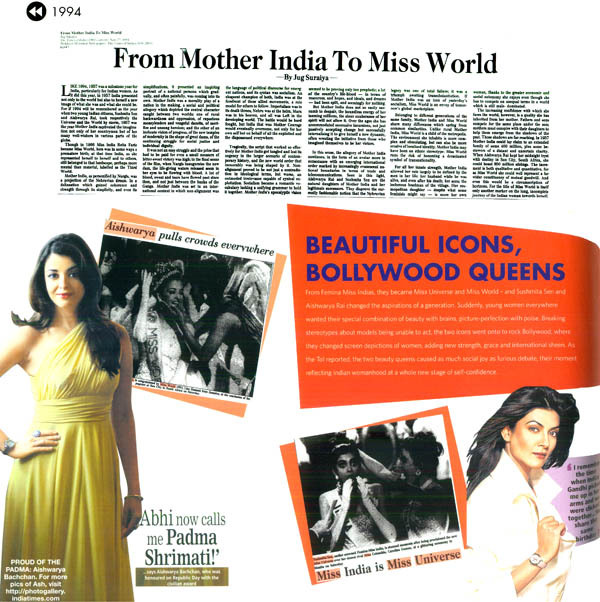 Miss Universe Susmita Sen. Miss World Aishwarya Rai. Dilwale Dulhaniya Le Jayenge. Lagaan. Dev D. Multiplexes. Rs 100 crore business. The Three Khans. Three Idiots. Dabangg. Size Zero. Six Packs. Vidya Balan. Ranbir Kapoor. Bengali cinema. Tamil cinema. Telugu cinema. Marathi cinema. Kannada cinema. Malayalam cinema. Smaller cinemas. Sharmistha Gooptuhas a Ph.D. from the University of Chicago and is a Founding Trustee, South Asia Research Foundation. She has written extensively on Indian cinema, and is joint editor of the journal South Asian History and Culture and the South Asian History and Culture Books Series. She is Editor of the online South Asia Archive. Avijit Ghoshworks as a senior editor with The Times of India’s New Delhi edition. He is also author of the award-winning book, Cinema Bhojpuri. Srijana Mitra DasDr. Srijana Mitra Das Read Social Anthropology at Cambridge University where her Ph.D. explored liberalization and identity in India. She works at the TOI’s editorial page, writes on political economy and popular culture, and reviews cinema. A book on cinema and entertainment to celebrate 175 years of the institution of the Times of India is rather significant. It is also a happy coincidence that Indian cinema is celebrating its hundred years in this very same year. Cinema or entertainment might possibly not have been granted the same value two decades before, but today ‘Bollywood’ is perhaps India’s best known international brand. Internationally people today accept the format of song-and-dance cinema, and more mainstream Indian films get shown at international venues like Cannes. Unlike even as late as the 1990s, when Indian popular cinema was for many a bastardized form of ‘real’ cinema (read western realist cinema), today Indian films are, more than ever, appreciated and enjoyed for their difference. 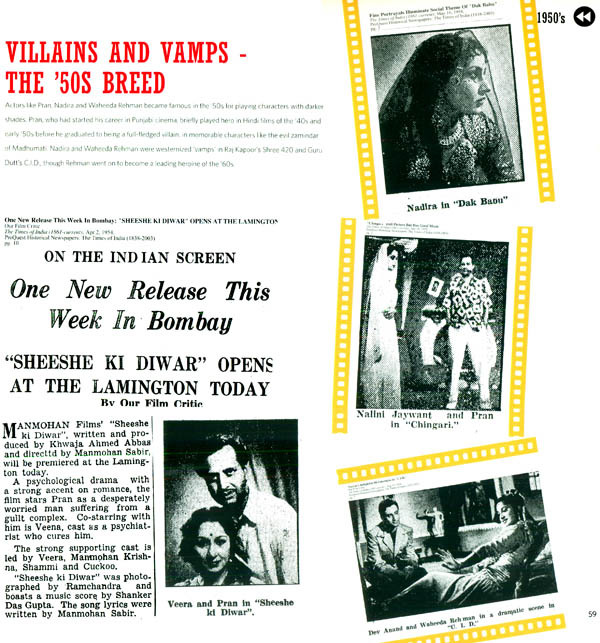 Entertainment and film reportage evolved with cinema’s popularity and the TOI’s editors, reporters and reviewers shaped public opinion around cinema and the popular perceptions of film stars and the film industry. 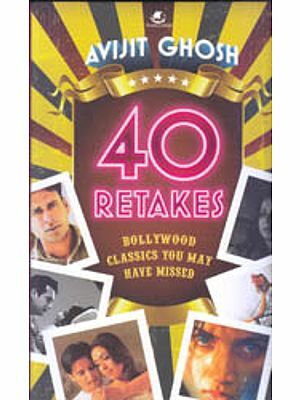 This book curates the same reportage and writing, spot-lighting key events, blockbuster films and the icons of Indian cinema and entertainment. The earliest reports on entertainment in the paper (then the Bombay Times and Journal of Commerce) were in the 1840s, such as one from 7 Feburary 1849, informing of a special circus show exclusively for ‘the amusement of Native Ladies’. Cinema arrived in 1896 as a new wonder and the TOI’s earliest advertisements and reports for cinematograph shows appeared in 1898-1899. By the time of D.G. Phalke’s Raja Harishchandra, the TOI’s writer was assessing the momentum of the event, nothing that this was ‘the first Indian picture drama’ (TOI 2 July 1913). Radio broadcasting started in the 1920, and All-India Radio (estb. 1936) would become the most popular channel for film songs. 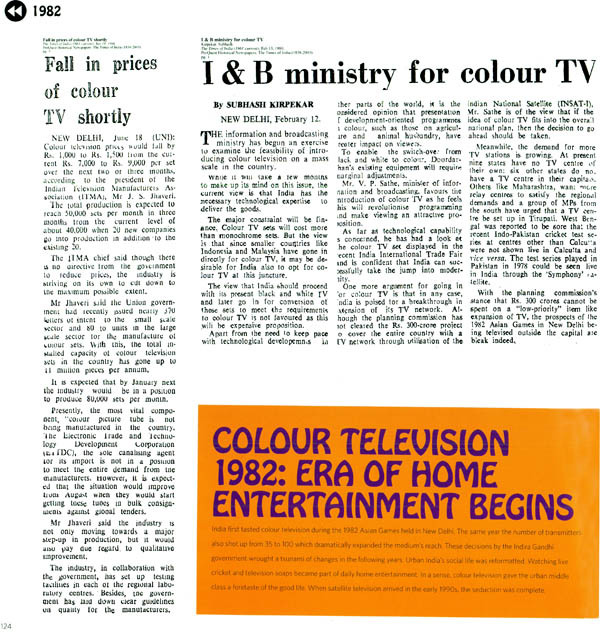 With TOI’s Instituting of the Filmfare Awards in 1954, films, entertainment the media and the public were linked in unprecedented ways into the future. It carried a page 1 report on Prime Minister Indira Gandhi flying in from New Delhi to see Amitabh Bachchan during his critical accidental while shooting for Coolie. Going from the 195s segment ‘Round and About the Film World’ by the paper’s film critic to the film pages of later decades, one could map the careers of stars like Raj Kapoor, Nargis, Madhubala, Dev Anand, Dilip Kumar, Rajesh Khanna and Bachchan. TOI reviewed Qayamat Se Qayamat Tak, and Khalid Mohamed wrote of Amir Khan, ‘Confident and eager, he’s several miles ahead of some of the recent newcomers’ (TOI 1 May 1988). Of another debut, now a milestone of Indian cinema, the reviewer wrote, ‘Aditya Chopra’s debut effort Dilwale Dulhaniya Le Jayenge asserts that he is a remarkably assured director…it also marks the progress of Shah Rukh Khan and Kajol, as performers of top caliber (TOI 22 October 1995). 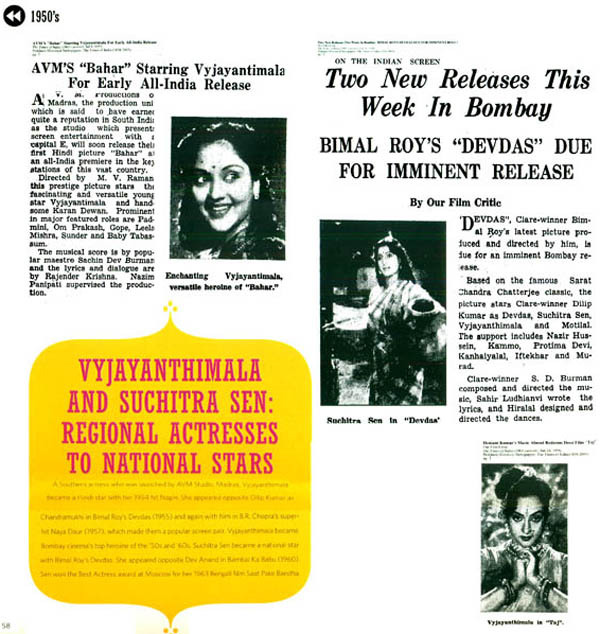 TOI had focused on other Indian cinemas. It followed Satyajit Ray from the time of his winning his first international prize at Cannes. It reviewed Ray’s masterpiece Charulata, his Mahanagar and Nayak, the work of Malayalam director Adoor Gopalakrishnan, or a hard-hitting Ardh Satya. After 2000 it focused more on regional film industries. This coverage of film and entertainment is as important as the films and events themselves, and is fundamental to how we understand our cinema and popular culture.